Suitable for special requirements, such as large-capacity power plants, nuclear power plants, underground railways, high-rise buildings, etc. 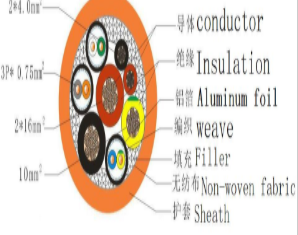 It can be laid indoors, in tunnels and in pipes, and can withstand certain laying and pulling, but the cable can not bear external force, and single-core cable is not allowed to be laid in the magnetic material pipeline. It is necessary to bear the external force of the machine and add the steel tape armor.